Over the next few years, power grid management will change dramatically. The changes mean that our shareholders’ existing electricity and gas grids will become Smart Grids. An important characteristic of a Smart Grid is that the increasing amount of information from all locations of the network can be gathered remotely and actions can be performed remotely in the grid. Effective, reliable and secure data communication is necessary for achieving this. 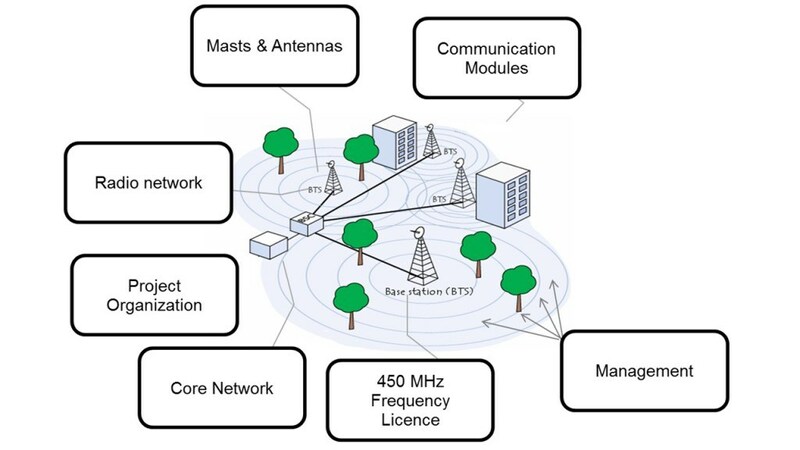 This is why in 2014, network operators Stedin and Alliander, the initiators of Utility Connect, decided to jointly develop a data communication network focused on, but not limited to, the needs of, for example, various energy applications like smart meters, sensors, switches, and various other applications. The Utility Connect network is a wireless 450 MHz band network that uses the global CDMA standard for mobile communication. The 450 MHz frequency band offers optimal coverage and data capacity for the smart meter and smart grid applications. Our network provides national coverage and a deep indoor coverage specifically in areas where our customers operate.